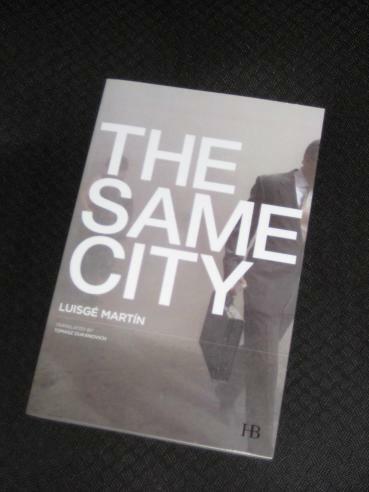 Luisgé Martín’s The Same City (translated by Tomasz Dukanovich) has the writer recounting the story of Brandon Moy, an American poet he used to know. A man of the world, the American has lived in several countries, done a lot of crazy things and slept with dozens of women along the way – which makes it difficult for the writer to believe Moy when he adds one more detail to the story. Apparently, the catalyst for all this was the attacks on the World Trade Center – when Moy (in truth a lawyer) realised that everyone thought he was at work in one of the buildings, he decided to take the opportunity to run away in search of an elusive freedom he thought had gone forever. Sadly, in his pursuit of lost ambitions, the realisation comes too late; the truth is that he was probably happy where he was. The Same City is an interesting slant on the mid-life crisis (indeed this idea crops up on the first page), one where the reader vicariously experiences the thrill of leaving everything behind. The writer telling the story is, like the reader, half in awe of Moy and half shocked by his ability to shake off the dust of his old life, but Martín’s account of the American’s experiences, including how he begins to lie, cheat, steal and sleep around, pulls no punches. Gradually, we see that no matter how free Moy feels, in truth, the grass is rarely greener elsewhere, no matter how jaded you’ve become. Wherever you run to in search of new experiences, you’ll end up in the same city you left. There’s a lot to like about The Same City, but I’d have to say that I preferred his last book in English, Woman in Darkness, much more. The main issue I had with it was that it dragged a little in places, and while the repetitive nature of Moy’s actions may have been intended to emphasise how he repeatedly becomes trapped by his life, it also had me wanting to skip ahead at times. I think this is because The Same City is a short story which has been extended beyond its limits; I suspect that the same tale could have been told, and just as well, in thirty to forty pages. It’s certainly interesting, but you do wonder if it needs to be as long as it is. 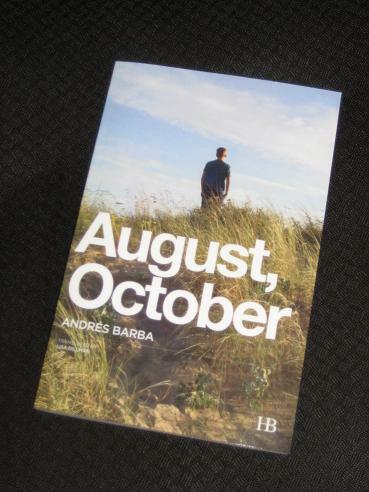 However, that’s certainly not the case for the second of today’s books, Andrés Barba’s August, October (translated by Lisa Dillman). Rain Over Madrid featured four extended stories, and this second work in English pushes the range a little further, with a two-part novella running to almost 150 pages. The story looks at a fourteen-year-old Spanish boy on the annual family holiday to the coastal town where his aunt lives. Where previous years were full of fun and sun, puberty has wrought changes upon Tomás, and this August is to be very different from those of the past. When you add to this teenage angst the discovery that his aunt is terminally ill, it’s no wonder that he is about to go off the rails. The twist in the tale comes when he falls in with a group of local youths, boys he’d never normally hang around with, and comes into the orbit of their female equivalents, more sexually aware and forthright than the girls Tomás is accustomed to. Mix in some drink, drugs and sexual frustration, and the scene is set for a dramatic end to his holiday, a rather disturbing encounter which leaves him guilt-ridden and desperate. Haunted by the memory of what happened even back in the comfort of his own home, it’s inevitable that he’ll return to the coast to try to make things right. However, unlike Camus, Barba is here to redeem his ‘hero’, not bury him, and the second part of August, October moves towards a happier climax. Tomás’ quest for absolution turns into a voyage of discovery as he learns a little more about himself and questions what he wants from life. The themes, and the narrative arc, make this a Bildungsroman, even verging on YA at times, but there’s a lot more to the story than this. Where The Same City unfortunately outstayed its welcome a little, August, October ends at just the right spot, allowing the reader to imagine its hero at a crossroads. Whichever path he takes, though, we sense that he’ll be moving in the right direction. Hi Tony – I enjoyed Barba’s “Rain over Madrid”, which I picked last year after reading your review. 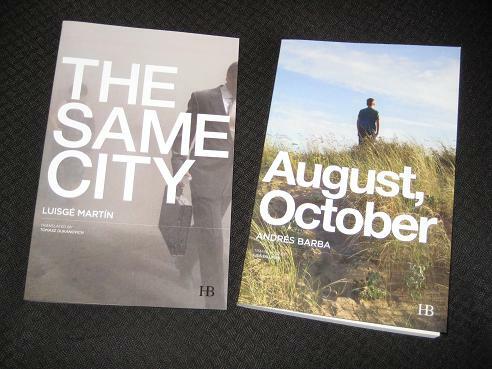 Glad to see that “August, October” did not disappoint – I look forward to reading it. Olga – I’m sure you’ll like it 🙂 I also found out today that more of his work is on the way next year from a small American press, so I’m looking forward to seeing that too.